In this article we are going to learn about how Gas Power Plant works? 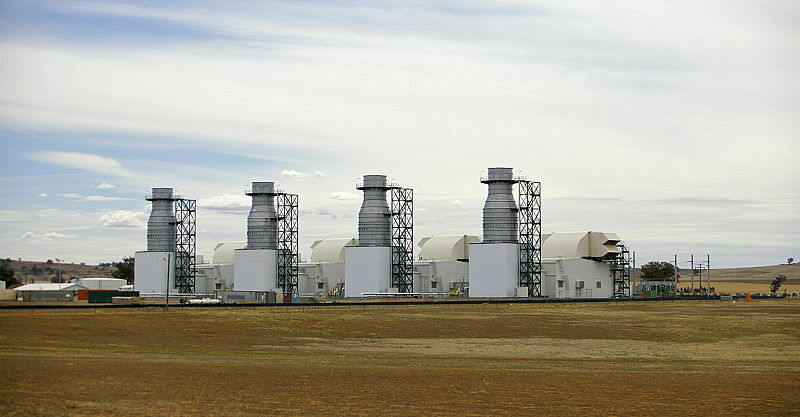 Gas power plant is also called as gas turbine power plant. In the previous article we have seen the overall idea of working of Thermal Power Plant which uses steam energy for the generation of electricity. 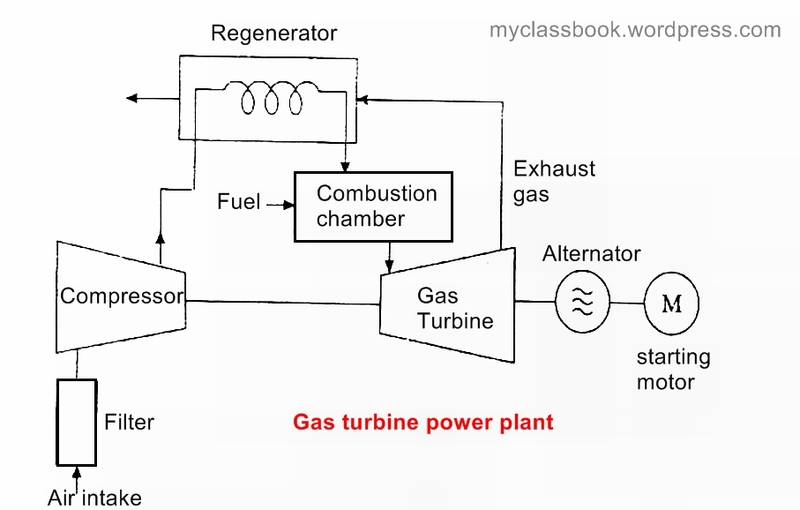 Today we are going to discuss one more power plant which is known as gas turbine power plant. Gas power plant uses compressed air to rotate the generator and to generate electricity. Following figure shows the schematic arrangement of a gas turbine power plant. In gas power plant air which is also known as the working fuel is compressed using air compressor at very high pressure. This compressed air is then fed into the combustion chamber where the fuel burns and produces hot flue gases (exhausts) at high pressure. It is then expanded in the turbine at high pressure to rotate the turbine. Turbine is coupled with the generator. Therefore when turbine rotates, generator also rotates and generates electricity. In gas power plant, the compressed air is preheated before going to combustion chamber by the regenerator which uses hot air from the turbine to increase the efficiency. Some part of the turbine energy is also used to run the air compressor so as to increase the overall efficiency. No special requirement for site selection. Gas turbine power plant can be built anywhere. Initial cost of gas power plant is lowest as compare to hydel, nuclear or thermal power plant. Running cost of gas power plant is higher. But the maintenance and transmission & distribution cost is low. Impact of gas power plant on environment is lower. Overall efficiency of gas power plant is 40%. Therefore gas turbine power plant is quite efficient. Gas power plant is reliable. How Hydroelectric power plant works? Working of thermal power plant. Working of gas power plant. What is evaporation and what are the types of evaporation process?